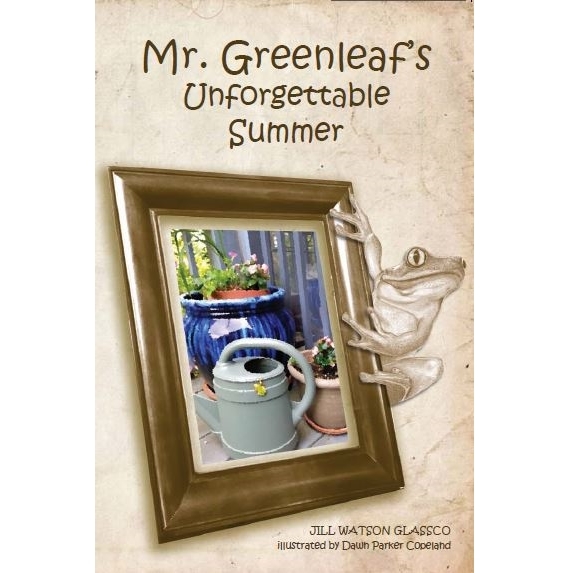 Mr. Greenleaf had lived in a tiny cave beside the goldfish pond in Mrs. Willowkins’ flower garden as long as he could remember. Each night, when the sun slid under Double Oak Mountain and stars sparkled over Blue Heron Lake, the little tree frog stretched his slim, lime legs and hopped outside to hunt and play. But, when Caiaphas Croaker, the most voracious bullfrog in all of Shelby County, suddenly invades the small pond, J. Jehoshaphat Greenleaf’s typical life changes to not so typical whatsoever; and his journey in search of a new home leads to greater heights for his little, green body, soul, and spirit.